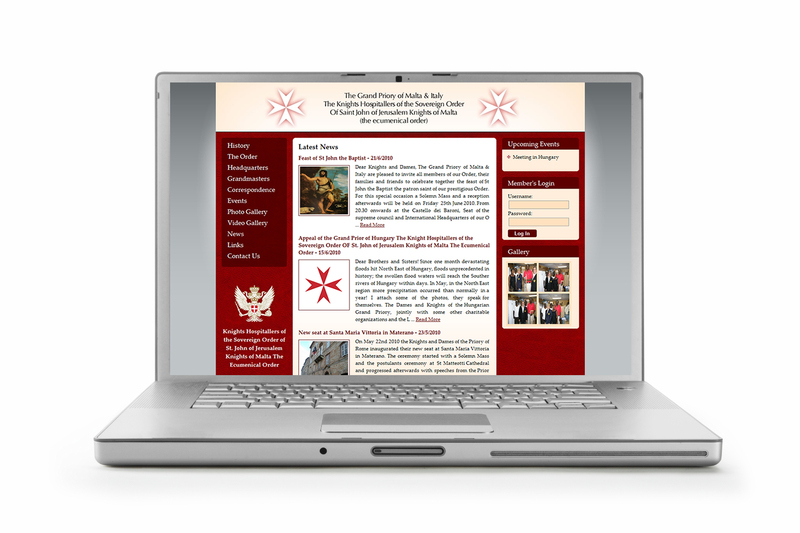 The Knights Hospitallers of the Sovereign Order of St. John of Jerusalem the ecumenical have now launched a new website to represent the Grand Priory of Malta. The Knights Hospitallers of the Sovereign Order of Saint John of Jerusalem ‐ the ecumenical Order constantly works in the fields of charity and social welfare in over 35 countries and consists of around 3000 Knights, Dames, postulants, volunteers and helpers who dedicate their time and generosity for the benefit of others irrespective of their race, religion or Origin. Over 40 million dollars worth of medicine, health aid equipment and other goods are donated every year by the Order. Recent missions include Haiti with the shipment of 12 containers filled with various goods. Abakus Solutions was the company behind the development of the website for the order. The web development company worked closely with Lighthouse Communications Ltd on the design. The website includes a news section, a photo and video gallery, an events calendar, a contact section and a members section apart from a lot of information about the order and its charitable activities. For more information one can log into the website at www.knightshospitallers.org.mt.